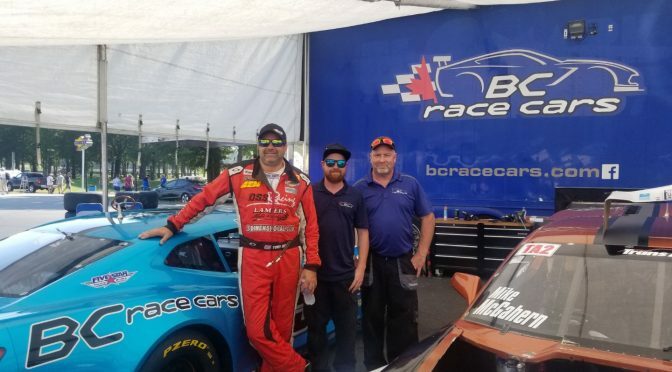 Pro driver Tony Ave gave BCR its highest finishing position yet, placing second in the SCCA Pro Trans-AM series at Virginia International Raceway, and a second consecutive podium in two races! We unloaded well, meaning the car was quick out of the box. 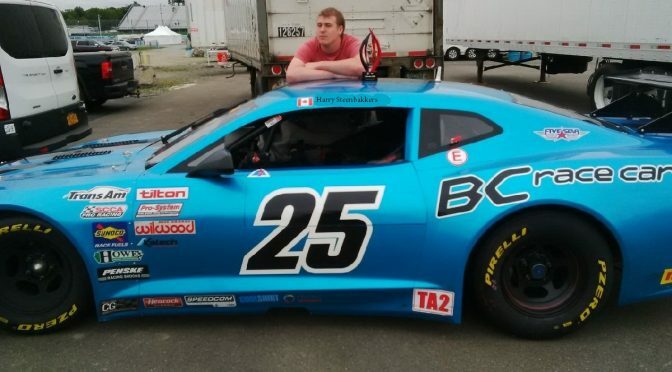 Testing on Thursday was a mixed bag as all classes of Trans-Am ran together and it was very difficult to obtain any meaningful data. Regardless, we got a chance for Tony to make some minor adjustments, and for him to get used to a TA2 car again, after not having driven one since March of this year. We had a great qualifying session, Tony blasting off an almost perfect lap early on. We had the pole for most of the session, but right at the end, Scott Lagasse Jr. would better us by 0.06 seconds, dropping us to second. The race was equally exciting, the front three taking off, and Tony making his way to the top and leading for about 5 laps. He reported that the car was a tad too loose, so he let the 2 cars pass, following them and saving his tires. A late race caution allowed us to cool the tires off, and with a few laps to go, the top 3 again blasted off, turning some of the fastest laps of the race. 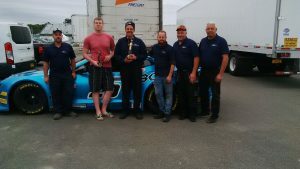 After much dicing, Tony was able to bring our TA2 Camaro home in second place, a fantastic result for BC Race Cars and a truly great drive from Tony Ave! 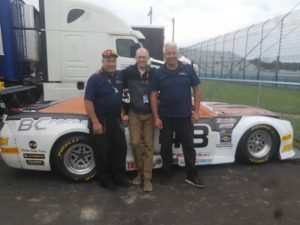 The result is especially satisfying for our team, as our car, while immaculately prepared and engineered, is essentially a rental car; anybody can rent it and go racing, either in Trans-Am or in local club racing events. Please contact Blaise with inquiries. 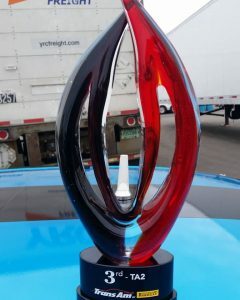 BCR Podiums at the Glen! 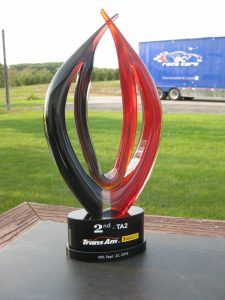 Success marked round 8 of the SCCA Pro Trans-Am championship at Watkins Glen International, with 2 cars finishing in the top ten and Harry Steenbakkers driving to a podium finish in our house car, the #25 TA2 Camaro. 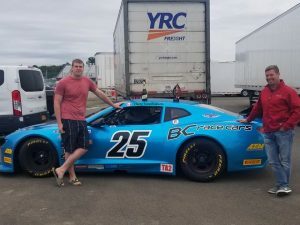 Mike McGahern, driving the #48 Ottawa Solar Power TA2 Camaro, had a troubling start to the weekend, chasing vibration issues in the driveline. The crew ripped the car apart, and was able to repair it in time for qualifying but we lost a test session. Mike qualified 16th, but raced well, avoiding some crazy spins ahead of him and drove home in a well-deserved 10th! Harry was a little rusty as he had not driven a professional race car in exactly a year, but got up to speed quickly. We were able to make some good adjustments and worked on race set-up more than qualifying speed. He still managed an 8th starting position and drove an incredibly mature race. We hang back, not forcing passes, just steadily moving up and saving the tires. After the second yellow flag, with 6 laps to go, Harry made a pass into 3rd and had an awesome race with Shane Lewis, the top 3 checking out, and Harry setting 2nd fastest lap of the race. He would finish 3rd, only 1.5 seconds separating the top 3!